Today’s fast-paced, connected, and highly charged world is placing unprecedented stress and pressure on kids and teens. We need to equip youth with skills to cope with the increasingly demanding lifestyle, combat the symptoms, and establish mindful and compassionate living – to last a lifetime. We can do this by allowing some silliness into their lives while exploring the elements of mindfulness. Watch me demonstrates a fun mindfulness practice that will help kids identify and activate their different zones of regulation. Want more mindfulness interventions for your young clients? Join Dr. Christopher Willard for a new certificate course on Mindfulness-based interventions for children and teens. This online course will add depth to your mindfulness practice and empower you with the tools to share and adapt mindfulness for youth in practical yet engaging ways. 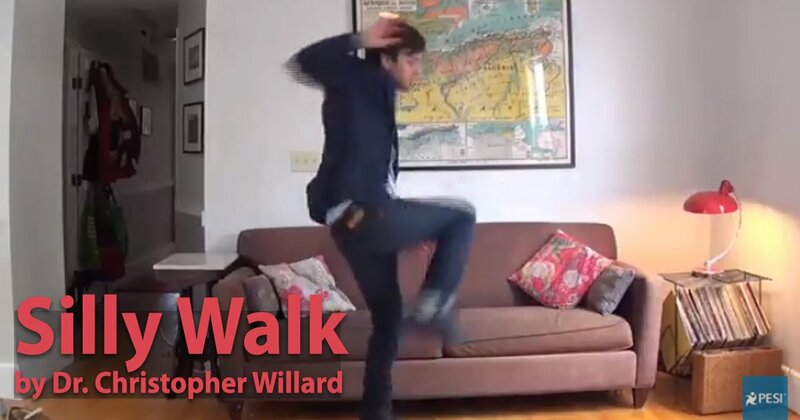 Christopher Willard, Psy.D., is a psychologist and educational consultant in the Boston area specializing in mindfulness-based work with adolescents and young adults. He holds an appointment at Cambridge Hospital, a Harvard Medical School teaching site, and leads workshops nationally and internationally. Dr. Willard has been practicing meditation for over 15 years. His thoughts on mental health have been featured in The New York Times, cnn.com, and elsewhere. He is the author of Child’s Mind (2010), The Mindfulness For Teen Anxiety Workbook (2014), and Co-Editor of Mindfulness with Youth, From the Classroom to the Clinic (2015).